"The scale of the relentless attacks that we have seen by al-Gaddafi forces to intimidate the residents of Misrata for more than two months is truly horrifying," said Donatella Rovera, Amnesty International's senior adviser in Libya. In a report, Amnesty accused Libyan government forces of launching "relentless indiscriminate attacks" on residential areas of the city, including the use of 122 mm Grad rockets fired from tens of kilometres away, and by mortars and 155 mm artillery shells. "Under international humanitarian law, none of these weapons should ever be used in populated residential areas," it said. It said it had found evidence of the use of cluster bombs, which spread 'bomblets' over a wide area, killing and wounding indiscriminately. Misrata was the Stalingrad of the Libyan Revolution. It is Libya's third largest city, and like the second largest, Benghazi, it went over to the side of the revolution early but unlike Benghazi, it didn't have the natural protection and advantage of a 400 mile line of communication from Qaddafi's base, Misrata is in Tripolitania. Both Qaddafi and the Thuwar knew that the fate of the whole revolution could be decided by the battle for Misrata. A lot of bad blood was created between Misrata and Taqwergha in those months. We've all heard this saying and we all know what it means. It's not saying revenge is sweet. It's not even saying that payback is justice. It is saying that payback is a part of the human response to attacks and suppression and in that there may be some rough justice. 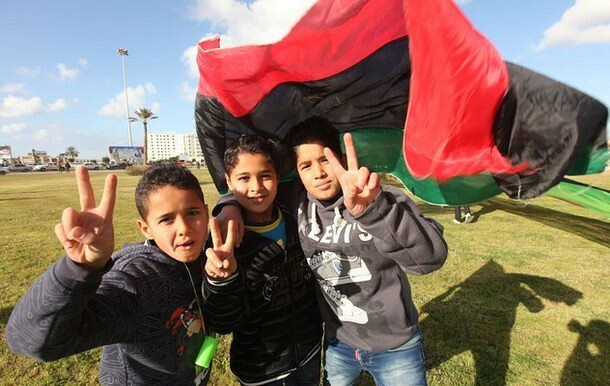 It should surprise no one that after living for 40 years in a brutal police state which acted so meanly and with so little regard for non-combatants and children, and which had to be put down with such a great loss of life, that all is not yet sweetness and light in Libya today. Transitions take time. NEW YORK - Armed militias now rule much of Libya, Amnesty International said Wednesday, accusing them of torturing detainees deemed loyal to the ousted regime of Moammar Gadhafi and driving entire neighborhoods and towns into exile. Amnesty International quoted detainees as saying They had been suspended in contorted positions; beaten for hours with whips, cables, plastic hoses, metal chains and bars, and wooden sticks and given electric shocks with live wires and taser-like electroshock weapons. At least 12 detainees had died since September after torture, Amnesty said. Their bodies were covered in bruises, wounds and cuts and some had had nails pulled off, the group said. Nobody is holding these militias responsible, Donatella Rovera, senior crisis response adviser at Amnesty International, told The Associated Press by telephone from Jordan on Wednesday, a day after she left Libya. Thousands of people lost their lives fighting to overthrow the government, some slaughtered in groups after they had been rounded up by soldiers. Many of those in today militias suffered under the old regime and saw their friends and relatives die in the conflict; some of them want revenge or to exact vigilante-style justice. There probably are more deaths to be found out and certainly there has been far too much abuse and torture, this is most certainly a problem and a feature of every revolutionary war in its aftermath. I wouldn't want to be a Tory after the American revolution or a French Nazi after the SS was run out of Paris. But this sort of thing is another barrier to liberation the revolutionary people must overcome. Another challenge is to tackle the widespread discrimination and xenophobia against sub-Saharan Africans and dark-skinned Libyans from Tawargha and other parts of Libya where support for al-Gaddafi forces during the conflict was reportedly high. The 30,000 residents of the town of Tawargha, who were forcibly displaced during the conflict, are still barred from returning to their town, where their homes have been looted and burned down. They remain in poorly resourced camps in Benghazi, Tripoli and elsewhere in Libya and face an uncertain future. So far the NTC has been unwilling to take on the militias and local authorities in Misratah who are determined not to allow the residents of Tawargha to return home. Because most people from Tawargha are black, much has been made of these revenge attacks by some in the pro-Qaddafi and anti-interventionists camps. They see them as racists attacks, pure and simple, and display them as proof that the revolution is "not progressive in anyway." [He said] "They also subjected me to electric shocks through live wires while I was lying on the floor. They put the electricity to different parts of my body including my wrists and toes. At one point I fainted and they threw water at me to wake me up. He said that he believes that the only reason he was detained was that a colleague reported him to the militia for being of Tawargha origin. Another way to say that is to say that he wasn't detained because he was black, they already knew he was black, he was detained and tortured after they found out that he was from Tawargha. I am in no way trying to justify the mistreatment of Libyans from Tawargha. That has to end and that town eventually has to be restored. I only point this out because so many people on the left are only too happy to brand this treatment racist and use it to condemn the whole revolution. While the Amnesty report focuses on detention and torture it shares a common refrain coming from almost all sides in the international community, in this case, including Russia and China, and it is this: the Libyan militias that won the revolution should be disbanded or absorbed into a national army controlled by the state ASAP before chaos envelopes the country. Most stories along these lines focus on fights between rival militias, and since there have been few of these that have resulted in fatalities, the fear of fights between rival militias that could breakout at any time. I saw one like that on France24 for the February 17th anniversary. The anchor kept going on and on about violence between militias but without any specifics. I kept listening for deaths or injuries and especially some total killed by inter-militia fighting since the fall of Qaddafi without hearing any. I, myself, am aware of 13 people killed in 3 such incidents. Finally the France24 reporter on the ground felt obligated to correct the false impression the anchor had, telling him "No, this is nothing like Iraq after the war" and he sounded like he knew from experience what that difference was. Lawlessness still pervades Libya a year after the outbreak of the uprising which ended 42 year of Colonel Muâammar al-Gaddafiâs repressive regime. Hundreds of armed militias, widely hailed in Libya as heroes for their role in toppling the former regime, are largely out of control. Their actions, and the refusal of many to disarm or join regular forces, are threatening to destabilize Libya, hinder the much-needed building of accountable state institutions based on the rule of law, and jeopardize the hopes of millions of people who took to the streets a year ago to demand freedom, justice and respect for human rights and dignity. So just who are these militias and why are they so "out of control?" The first thing you should know is that these militias are kinda like the Viet Cong. I'm not talking here about ideology or organization, I'm talking about the origins of the name. 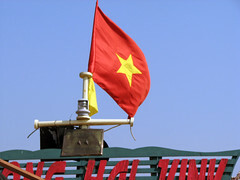 You see, the revolutionary fighters in South Vietnam never called themselves the Viet Cong, that was a term created by a US psyops officer in 1958 and widely adopted by the media. Similarly the revolutionary brigades in Libya don't call themselves militias, they call themselves revolutionary brigades, and that is also what the revolutionary Libyan government calls them. Hundreds of armed militia groups, established at local levels during the fighting, continue to operate largely independently of the central authorities, often effectively controlling specific areas or neighborhoods. Some militia members have a military background but most were civilians. Militias have established sometimes fluid networks of co-operation. In other words, these revolutionary brigades are the armed organizations created by the Libya people to take up the armed struggle against the Qaddafi regime and his imperialist supporters. [See my Arming Gaddafi and many other works.] These remain the principal armed organizations of this democratic people's revolution. They may be "out of control" but nevertheless they "have established sometimes fluid networks of co-operation" which should sound familiar to anyone in the occupy movement, like it might be horizontal, non-hierarchal, which is not how a national army functions. All of this begs the question, just whose control are they out of? The brigades, for their part, say they aren't interested in disbanding until they know that they are getting the national government they have been fighting for and so far the TNC ain't it. It may also be argued that a certain amount of wanton armed conflict is the price of freedom. The founders of the United States evidently thought so because they enshrined in the constitution the right of the people to form armed militias specifically to protect those freedoms and they had to realize that such an armed population, human nature being what it is, would necessarily result in needless deaths by gun fire. Although there really has been very little violence resulting from hundreds of separate revolutionary brigades, almost everyone in the media, and the diplomats of all the major powers agree, these revolutionary brigades must be broken up ASAP and a proper Libyan national army should be formed. You know, a regular army that can be ordered to invade a foreign country or suppress its own people the way hundreds of "out of control" revolutionary brigades can't. And now Amnesty International agrees, and while they are absolutely correct in investigating human rights abuses by the brigades and demanding their correction, their whole perspective is so tied to a static conception of the "rule of law" that they completely ignore the practical requirements of a revolutionary period. Once you come to the conclusion that just such revolutions will be required to create the very conditions of peace and humanity for which AI longs, you realize the basic flaw in their approach. "No one shall be subjected to arbitrary arrest or detention. No one shall be deprived of his liberty except on such grounds and in accordance with such procedure as are established by law." So how does this work immediately after a revolutionary people have succeed in sweeping the old regime from power? Because, make no mistake about it, the key elements of the old regime cannot be left at liberty to continue their struggle by any means still available to them. There would be hell to pay. They would make counter revolution and many more lives would be lost. Without a doubt, the victorious revolution must, for a while, exercise a dictatorship over the old regime. If they fail to do this they will likely fail all together, because even when the old regime has been defeated militarily, they are in many ways still stronger than the revolution. They still may have superior organization, they have financial resources and international ties that can come to the rescue, they have the forces of custom and habit, an intimate working knowledge of how to run the country and literally a million other advantages over the temporarily victorious revolutionary people. For the people to be able to consolidate their victory, it is absolutely essential that these elements of the defeated regime not be at liberty to defeat the revolution. In the case of a victorious revolutionary war this must be done immediately and throughly even if there are no warrants and nothing we might recognize as due process and even if many innocent people are swept up in it. In the case of revolution, just what "law" would Article 9.1 be referring to, the laws of the overthrown regime, or the laws to be established by the new regime? Because, as a practical matter, if they delay arresting members of the old regime until they've got their legal house in order, they will never get to that point. It is important, however that people not be mistreated while in custody and that their cases are investigated quickly and that they are released when charges against them can't be supported. By most accounts, the Libyans have been making some fair progress at that and thousand of detainees have been released. In Libya, the number of people in custody is going down, one could only wish that were true in the United States.